History sometimes has a droll sense of timing. This past weekend, the country celebrated the Declaration of Independence, which proclaims that government is legitimate only when it rests on the “consent of the governed.” That was the very moment the Trump administration chose to launch a fusillade of attacks on voting rights. But things have not gone as planned. When the White House’s “Voter Fraud Panel”—as President Trump calls it—sought the personal information of tens of millions of Americans, it provoked a roaring backlash. This Fourth of July weekend, state voting officials rebelled. Trump’s allies are flailing. Late today the commission’s de facto leader Kris Kobach denounced media reports as, what else, “fake news.” The panel has not yet convened its first meeting, and already it’s a debacle. To justify these absurdities, he launched a Presidential Advisory Committee on Election Integrity. It makes no pretense of bipartisanship. Vice President Mike Pence chairs it. Kobach, the Kansas secretary of state, its vice-chair and guiding spirit, is one of the country’s busiest proponents of laws to make it harder to register and vote. Most other members are Republican. Some seem puzzled as to why they were named. Just last week, Hans von Spakovsky, the Heritage Foundation senior fellow who has spent over a decade retailing ever more lurid claims of election misconduct, joined. In his book Who’s Counting? How Fraudsters and Bureaucrats Put Your Vote at Risk, he warned of a “spreading” contagion of “election fraud.” Amid the din of criticism, Kobach announced he was running for governor in the Republican primary. The first ever federal commission to prove a delusional presidential tweet was off to a shaky start. Then things got worse. On June 28, Trump’s panel wrote to all 50 state governments requesting the names and addresses of everyone registered to vote. It said it sought publicly available information, including birthdates, party affiliations, voting records, and even the last four digits of their Social Security numbers. All told, 19 states have rebuffed Kobach’s request outright. Delaware, Maryland, and Wyoming refused over the holiday weekend. Arizona, Connecticut, Maine, Vermont, and Washington at first seemed ready to go along, then changed their minds. Seven more imposed conditions, such as a fee or formal request process. Only 16 have said they would fully comply. Some laws just flatly prohibit release of some of the data. Guess what state prohibits the release of voters’ Social Security information? Kris Kobach’s Kansas. Attorneys at the Brennan Center for Justice at NYU School of Law spent days poring over statutes and rules. They found myriad examples of where it would be improper under state law to give Kobach what he wants (PDF). In North Carolina, for example, state law generally prohibits officials from giving out a voter’s date of birth without express written permission. And the Electronic Privacy Information Center sued in federal court, charging that the move violated federal privacy law and would make it easy for hackers. These pratfalls would be funny, if they weren’t so alarming. Kobach has endorsed Trump’s claims. Likely he wants to take the notoriously flawed federal list of citizens, compare it to typo-ridden state voter lists, and proclaim he has found proof of wide misconduct. All this would spur a legislative push to curb voting rights and protections. And last week, the administration and its allies took after voting rights on other fronts. The Justice Department sent all states a stiff letter demanding answers about how they planned to purge voter rolls (PDF). The next step, in all likelihood, would be to sue to force purges. Such purges often delete many more eligible voters than ineligible ones. And House Republicans put out an appropriations bill that eliminated funding for the Election Assistance Commission. That’s the one agency in the Federal government charged with certifying voting machines—among other things, to make sure they are not vulnerable to hacking by, say, Russia. This is maddening on several levels. Officials should protect and expand the right to vote. And they should shun partisanship when it comes to the real threats to election integrity—such as the risk that Russia and other malevolent actors will be back, trying to interfere in our elections. Perhaps all this will yield a surprise. Republican officials are now speaking up to rebut the wilder claims. Agitated voters could see the move as a threat not only to privacy but to basic democratic rights. Maybe Trump’s overreach will discredit the drive for restrictive voting laws. 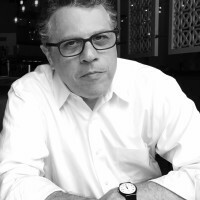 Michael Waldman is president of the Brennan Center for Justice at NYU School of Law. He is the author of The Fight to Vote, published in paperback this spring.